I've been wanting to try the Garnier Brightening Eye Roll-On ever since I realized my dark eye circles were becoming darker and darker, but never bought it 'coz I wasn't sure how well it would work. 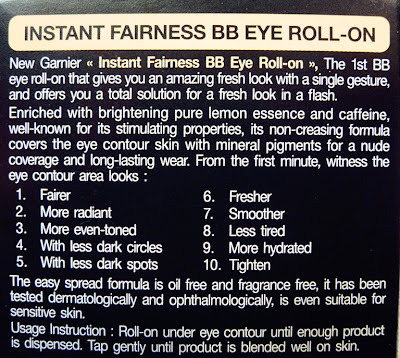 Then miraculously, Garnier came out with another version of their Eye Roll-On, the BB (cream) version, which basically does what the original Brightening Eye Roll-On does, except that it has added concealing abilities. 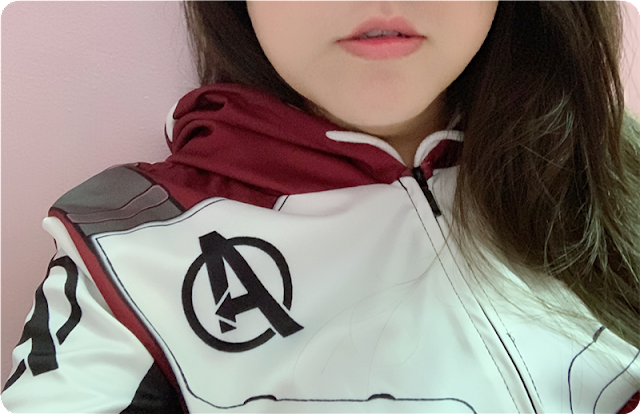 I hesitated from buying it (for various reasons) until lately, when I finally decided it was high time I did something to fight those darn panda eyes, lol. The BB Eye Roll-On is roughly pen-shaped, with a rounded top. Only the shade "Natural" is available locally, although I believe they have 2 shades available in other countries. Just roll it on under and around the eye area. 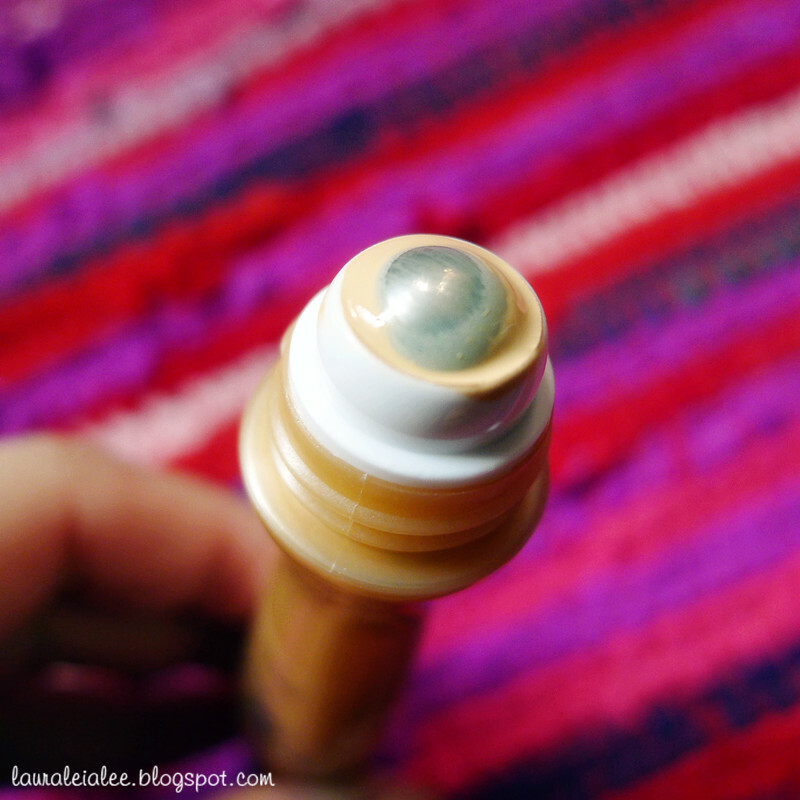 The amount dispensed is quite little so you might need to roll it around a few times to get the desired amount in order to cover the whole eye area. 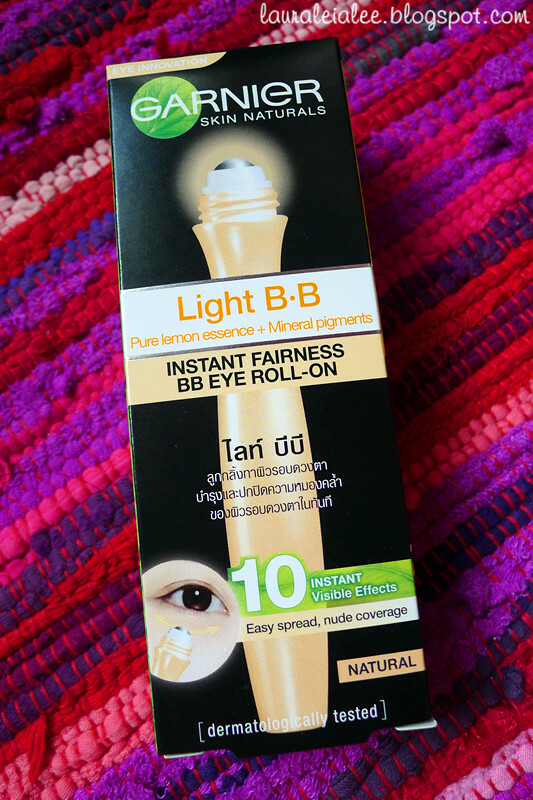 In all, I find this Garnier Light BB Roll-On quite useful, as it does make my eye contour area look smoother and fairer, with less visible dark circles and lines. 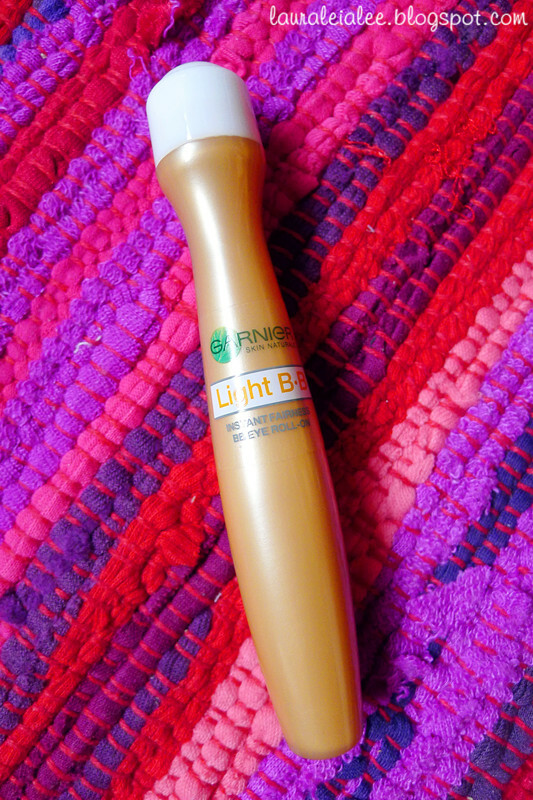 It also does a good job to even out the skin tone around my eye. 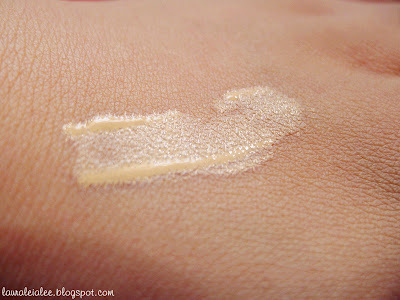 Overall a good product, and I love its texture which is easy to pat and blend without pulling or tugging at the delicate skin around the eyes. Retails at RM 24.90 and is available at all major drugstores and pharmacies. ✓ Pros: Comes in a travel-friendly packaging, affordable price, easy to pat and blend, does what it claims (mostly). ✗ Cons: Product sometimes does not come out so you have to shake the tube and roll it on your hand; texture is watery; does not provide full coverage for heavy dark circles. Shd post before and after use the product... I also wish to buy this.. 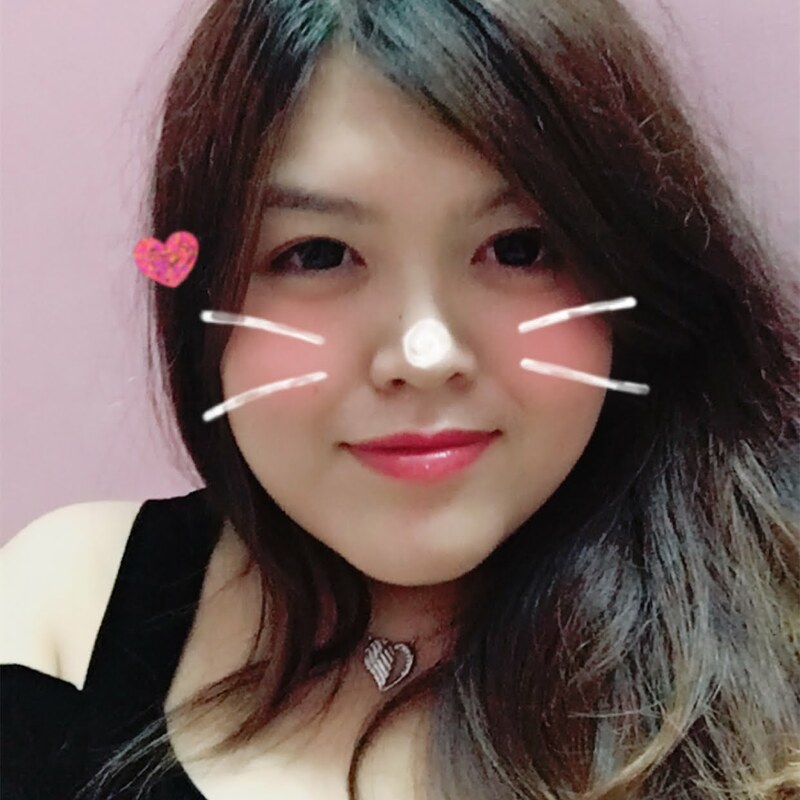 I too have dark circle.. but I'm currently sure skincare product to get rid the dark circle instead depending on concealer.. :P..
hey since u have been trying so much of products. any idea which product best fight against dark eye circle and puffiness? and which best conceal it? I'm also looking for a good concealer for eyes. omg it's nearly the same price in Msia as it is in SG! except, ours costs 22.90sgd and i just bought it that day nooo): we only have it in natural too! 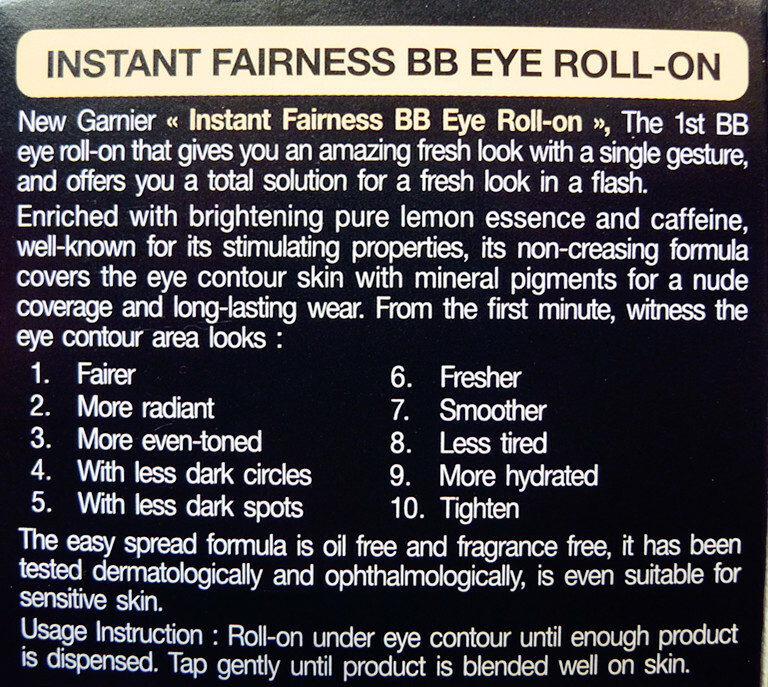 Emeryn: For dark eye circles, so far I've only used concealer and this bb roll-on. I still think that the best way is to put ice or a frozen teabag on the area for about 5mins to reduce puffiness. >_< Home remedies, haha! As for concealer, I've been using Etude House stick concealer ever since I started using makeup and it's worked pretty well for me. Maybe you can try out The Face Shop's 2-in-1 liquid and stick concealer? I'm planning to get that once my E.H. runs out (which is pretty soon, lol). Nicole: OMG Really? O__O I first saw it in SG too, but nearly fainted at the price. Now I think I saw wrongly, coz the tag on the shelf under the product was S$79.90, LOL. Haha, I am too lazy! Rainy: So far it's been working well. :) You should get one! Camy: HAHAHA I think it's okay if you use it now. XD Just use it to conceal dark eye circles.